In the grassy field, the goldenrods erupt upward out of their centers. At this tender point of their development the leaves are unblemished, almost perfect. 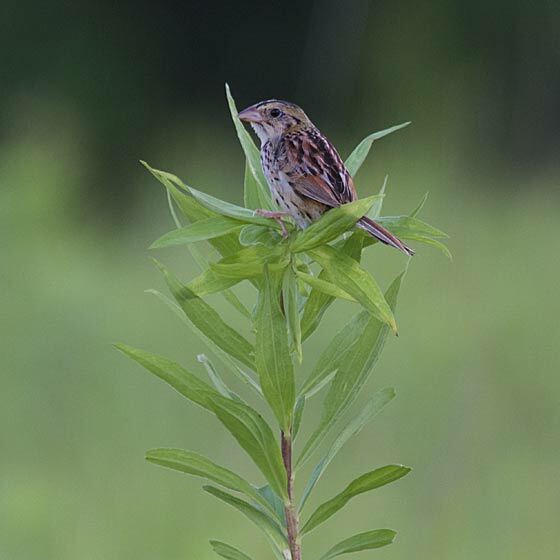 At the top, where yellow flowers will soon unfold, a Henslow's sparrow poses like an early bloom.